The quality of care that your patients will experience is determined by the skill of your nurses. Having professional and experienced nurses will help promote a higher quality of care. This will make the lives of your patients better and help improve the reputation of your medical facility. As part of our nurse recruitment in Florida, we go great lengths in ensuring that the nurses we provide have the experience to do the job right. Not only do you want to hire an experienced nurse but you will also want to make sure they have a great personality. Having someone that you like being around can promote a better atmosphere. This will not only make it easier for your staff to work with that particular nurse but this is something the patients can feel as well. A good personality can help improve moods and improved moods mean faster recovery times. Through staffing services, you can receive easy access to professional nurses that can fit your open positions perfectly. Even though these nurses are temporary, using our services is a more convenient way to get the people you need without worrying about their skills, experience levels, personality, and more. There may be opportunities to hire these individuals permanently as well, which make this a great way to try someone before committing. Those are just a few things to consider when you are looking for the best nurses for your medical facility. It is important to take your time and hire the best people, so you can offer the best care to your patients. This entry was posted in Nurse Staffing Agency and tagged Nurse Staffing, Staffing, Staffing Agency. Bookmark the permalink. Find a career you can be proud of! 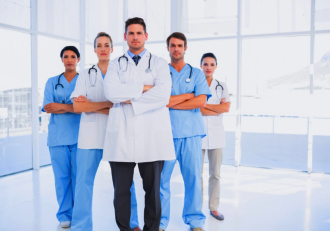 We offer wide selections of professional healthcare jobs to people in need of one. We also have a good number of talented people that any health institution can easily tap.